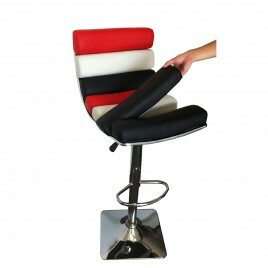 A gentle wave in the upholstered leatherette seat creates sleek comfort. 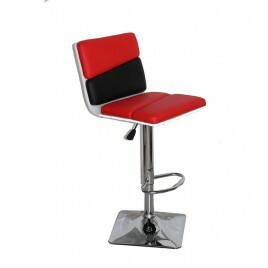 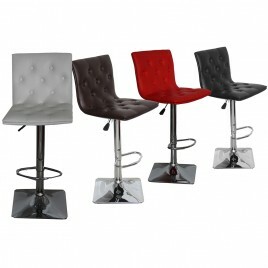 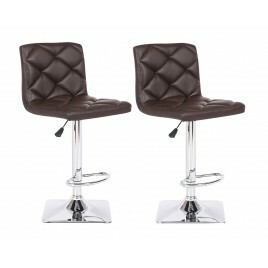 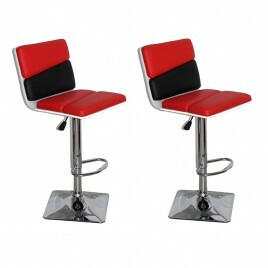 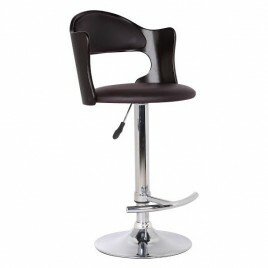 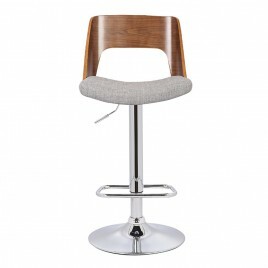 Enjoy all of the function at a great value.FeaturesMaterials: Steel, PVC and faux leatherSquare b..
Use this wood and chrome bar stool to add quality casual seating to your home bar or kitchen counter. 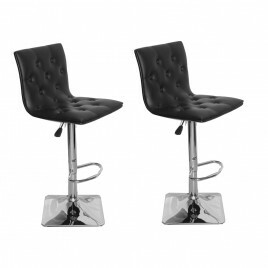 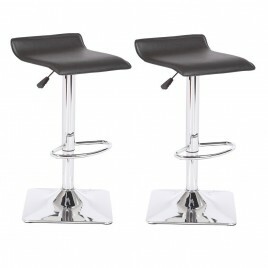 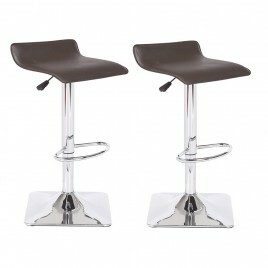 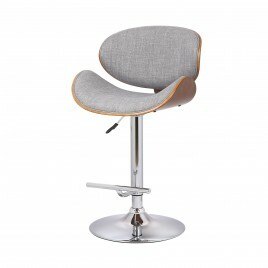 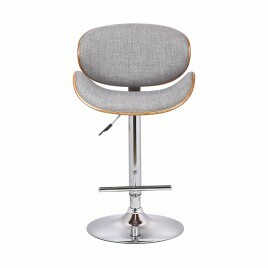 The padded seat and backrest of this grey modern bar stool curve out..
Update your living space and entertain guests and in style with this adjustable bar stool. 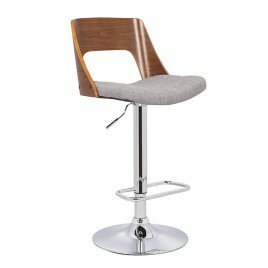 An ideal seating option for your dining room, bar area or kitchen, this modern ..
Outfit the home bar or accent your favorite seating group with this essential stool, perfect in the parlor or den.FeaturesLily collection5-Minute tool-free assemblySquare..
Add luxury and modern taste to your room with this Taylor bar stool. 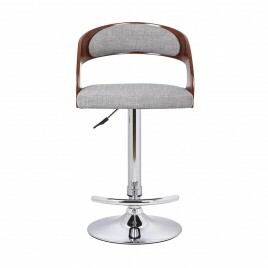 This modern style and sturdy built adjustable swivel chair is well designed to fit any corner of your..
Add luxery and modern taste to your room. 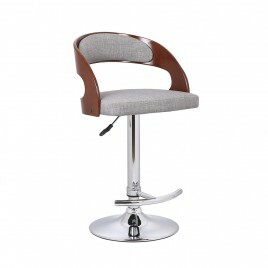 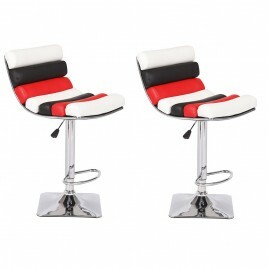 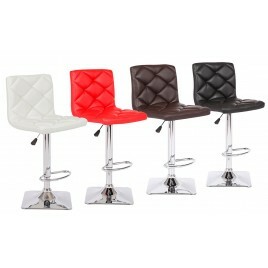 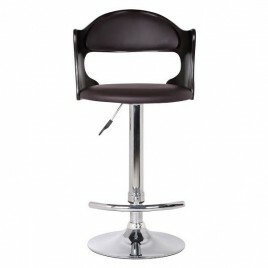 This modern style and sturdy built adjustable swivel chair is well designed to fit in any corner of your home.FeaturesExtra-thic..
Outfit the home bar or accent your favorite seating group with this essential stool, perfect in the parlor or den.Features5-Minute assemblyMaterials: Steel, PVC and faux ..